Ernest Goes to Camp perfectly captures childhood in a way I’ve never seen another film pull off. I loved this movie as a kid because it spoke to me on a very personal level. That might sound strange because it’s a screwball comedy that doesn’t seem to have any depth at first glance. But I am pleasantly surprised every time I watch it to find myself loving it even more and finding something new that it teaches me. This movie speaks a child’s language. For example, we only see a few scenes of the villains, but those scenes are enough to cement in our minds just how evil they are. They drive big bulldozers, shoot guns, and drive people from their homes. Those are all intimidating and/or scary things to a child. We relate to Ernest because he is terrified of shots, refuses to eat “eggs erroneous,” which looks utterly disgusting, and refuses to give up on people, even when everyone else wants to. In other words, he’s the epitome of childhood. I know I hated shots as a kid, I saw casseroles as horrible confections designed to torment my taste buds, and I wanted to trust everything people said until I learned about sarcasm. Ernest is silly and yet extremely noble, as we discover later. The first moment we meet Ernest, we love him. He talks right to us like we’re old friends. This movie breaks the Fourth Wall in a way that reminds me of Ferris Bueller’s Day Off. Ernest doesn’t face the camera all the time, but when he does it leads to a lot of laughs, like when he expresses disgust at a clogged toilet and when he antagonizes a bunch of rabid badgers. It’s just perfectly done every time. This movie perfectly portrays the problem of bullies. A bunch of juvenile delinquents come to a camp and instantly get singled out for bullying by more experienced campers. They try fighting, but that only gives them more problems. So they try doing something constructive with their time, but the bullies burn down the teepee they were building. Eventually, the bullies and the bullied face a common enemy, so they decide to put their differences aside and work together. 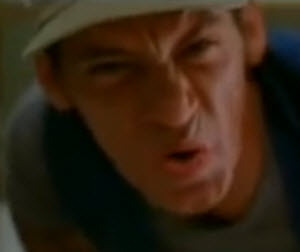 Ernest faces his own bully in the form of a macho construction worker. 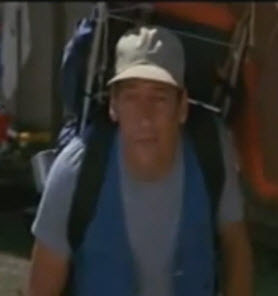 Ernest tries to stand up for his campground, but he gets beat up. This was a traumatic scene for me as a kid because Ernest is a character who can get burned, electrocuted, and even shot at with no life-threatening consequences. But this scene humanizes him by showing that he can be hurt just like anyone else. His solution to this bully problem isn’t to reason with the bully, but to use creative means to weaken and destroy the opposition. He even gets a little revenge for the beating he took at the hands of the cruel construction worker. Every bullied kid cheers at that moment, even though it’s not the most realistic way to solve the problem. After Ernest gets beat up, the movie does something really bold. It takes a timeout from all the comedy and antics to just sing a heartfelt song about sorrow. I needed this balm when I was a child after seeing someone I cared about get hurt so badly. It was soothing at the same time as being so sad. To see all of the campers, both friends and enemies, having to pack up and leave the place they’ve grown to love is heartbreaking. No other Ernest movie did something like this. I’m so glad the filmmakers recognized the importance of giving the audience a moment to take things seriously for once. The climax is a perfect payoff to everything that’s been set up over the course of the film. They use exploding toilets, food cannons, lantern missiles, and deadly parachuting turtles to drive the bad guys from the campground. And that’s not even the best part. Ernest has to prove his nobility in one final test against the main villain. The villain is an expert marksman, but he miraculously misses when he fires a gun directly at Ernest’s heart. And then he misses again. And again. The film had mentioned an old Indian legend that if a warrior had faith in the Great One, possessed true courage, and was pure of heart, no weapon could harm him. 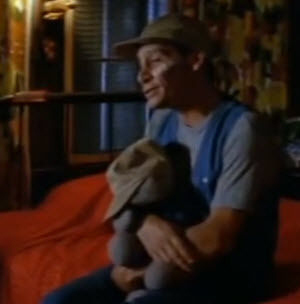 Throughout this film, Ernest has proven what a good man he is, and he totally earns his place as a warrior by the end. 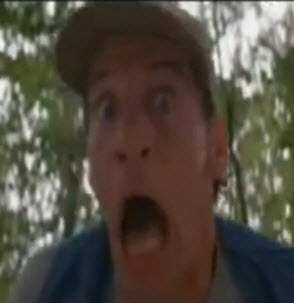 Ernest Goes to Camp is pure, unadulterated childhood fun. Its jokes and sight gags are almost always right on the mark. It’s like the writers channeled their inner child and managed to make an entire movie that speaks little kids’ language. If you’ve never seen this movie, you’re in for a real treat. And if you grew up loving this movie but haven’t seen it in a long time, check it out. I think you’ll have an awesome time remembering the good and not-so-good parts of being a kid again. This entry was posted in Pleasant Surprises and tagged 1980s, childhood, children films, comedy, ernest goes to camp, films, funny, humor, movie review, movies. Bookmark the permalink.